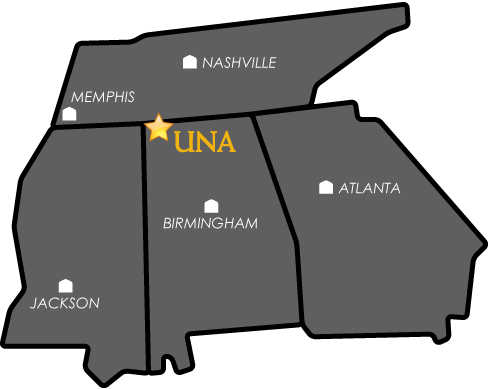 It is your official UNA ID card. It is a meal card. It is a library card. It is a door access card. It is your access to student programs. It is a way to pay for many services on campus. It is fast: the Mane Card will always have exact change, so it is faster than cash! It is safe! Report Lost or Stolen Immediately online! One card does it all - it's the MANE card from the University of North Alabama! If you're a student, faculty member, or staff member at UNA, you're eligible for the MANE card, the simple card that really does it all. The MANE card serves as ID for university events, grants residents access to dorms, and can be used as a debit card in a variety of locations. It's a library card, a meal card . . . and a card you'll want to have!